Hey there!! Happy Monday! 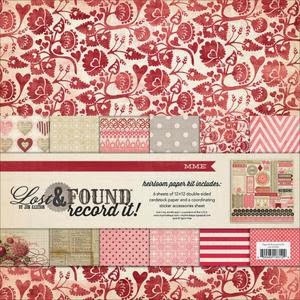 Today I get to share with you another part of the Lost & Found Record It!. It is the Heirloom Collection. So here we go! - Love the vintage feel to it. -Love that it is a Love collection. Perfect for this time of year. -I absolutely love the Heirloom Pockets! 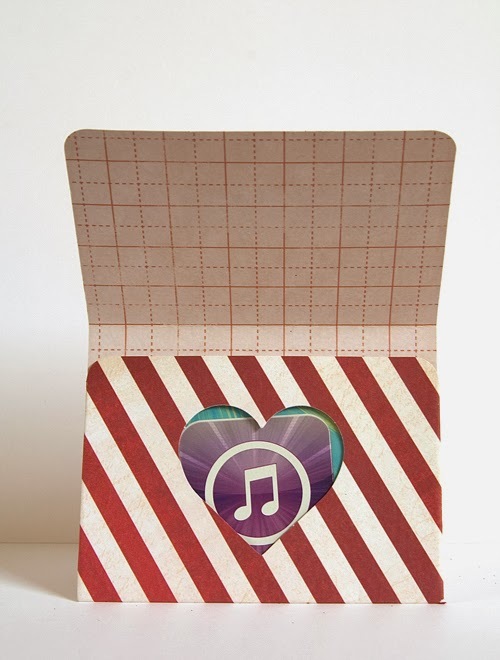 They are perfect for putting journaling strips in, or as a gift card holder. -The alpha stickers were hard to get apart and sometimes ripped. Not a huge deal, but annoying to be sure. Bottom Line: Another collection that I really like. It is fabulous in the colors, the patterns and the embellishments are fab. What do you think? Is this a collection you will want to have? Leave a comment by midnight EST on Tuesday and you will get a prize pack from yours truly!! U.S. Residents only and please leave a way you can be contacted. Enjoy! Those are delicious cards! I really love the "Love" sparkle accent. Is that part of the set? I love My Minds Eye. Paper quality never fails, and I find that their designs are pretty, but not overwhelming and too holiday/them specific. J'adore! 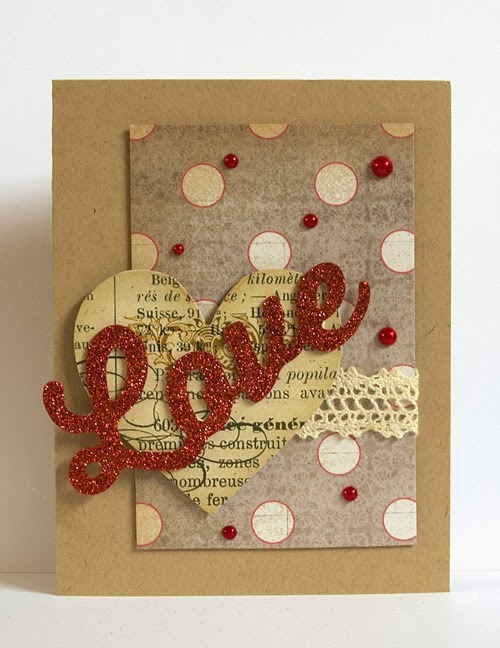 :-) This is a beautiful collection, and I really love how you've used it in your samples. Thanks for the review and the giveaway. Love that it's not "too pink". The pockets do make great gift card holders - got to remember that! Oh - very pretty! I agree with Gabrielle - LOVE that glittered "Love" word!!! 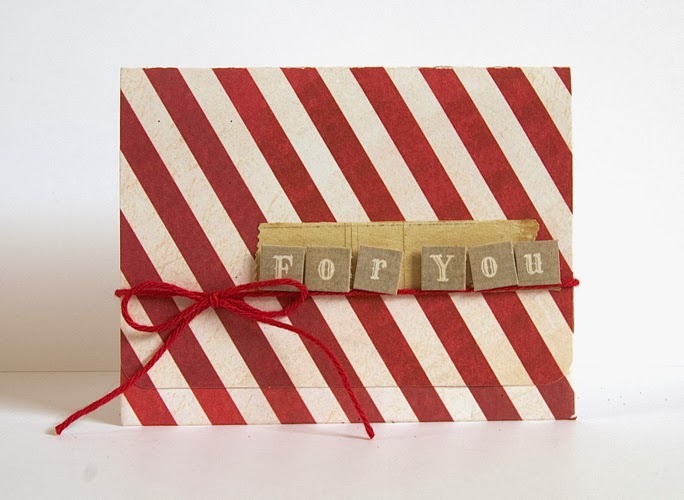 Ok, I love the colors--the beige color with the red and black, I love the glitter, I love the stripes---you know I'm in love when I type in run on sentences! I think this is a beautiful collection! I love the colors and patterns. Gorgeous collection. Adding to my wishlist for sure. Cute collection. I love the colors and patterns of it. I'm liking that ephemera pack! At first glance this is not a must have, however after seeing the great projects that you created I'm inspired. Very nice work! Your gift card card is my favorite. This is a nice little collection. Thanks for the chance to win. 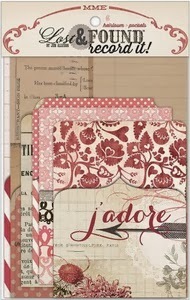 Like the vintage feel and that is a more sophisticated look, rather than cutsie. Super cute creations and adorable collection. I love the vintage feel of it too. My Minds Eye always comes out with the nicest collections. It would be so wonderful to win a prize package. Wow!! I love everything about this but especially the colors! 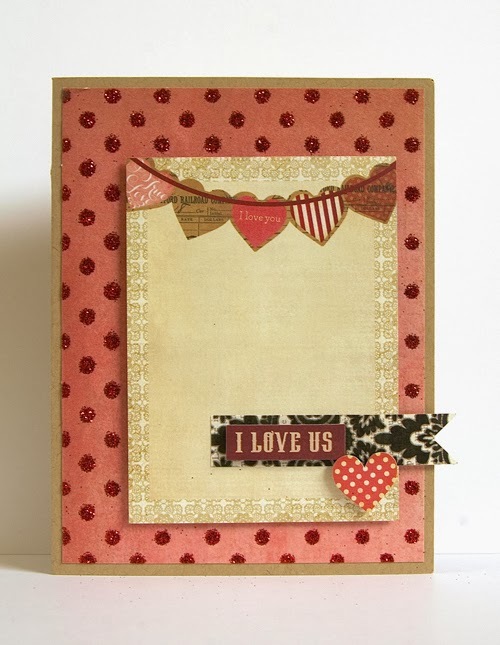 The red, white and pink on kraft give such a wonderful vintage feel and I would use this all year round! Beautiful patterns! My daughter is engaged and we are planning a wedding! This is a must have!!! Such wonderful colors and patterns!! Another stunning collection from MME! How do they keep coming up with such amazing designs? Wow! This is a pretty collection! I love the worn look and the colors together. Your cards are very pretty too! I would love, love, love this collection...the colours and "feel" of the collection is wonderfully vintage. I just love MME...and this collection does not disappoint!! I'm totally in love with your cards..they are all so different and really showcase the line. 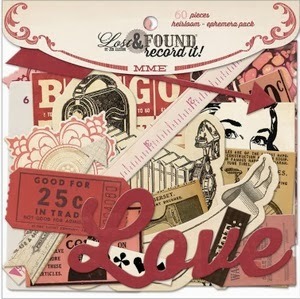 I only buy 1 valentine collection per year and I hadn't found one yet that "hit me"...now I have!! Thanks so much for the review and sharing the projects with us! !